Congrats on ASAP Rocky's second cover man. This is so cool haha I mean even though its not my favorite cover and a way overdone reference of that infamous Warhol Basquiat poster. Its still pretty great he got his second cover already. 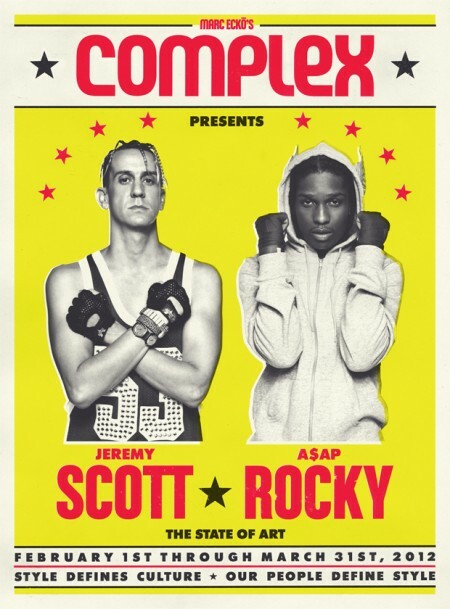 Plus its kinda epic Complex got a fashion designer on the cover with a rapper. Thats cool. this is actually dope... I have that poster at home my dad saved it when he was invited to it back in the dizay.